Brisbane is a beautiful city with loads of hidden gems, quirky spots and rich history – things that might not be easy to find on your first trip. 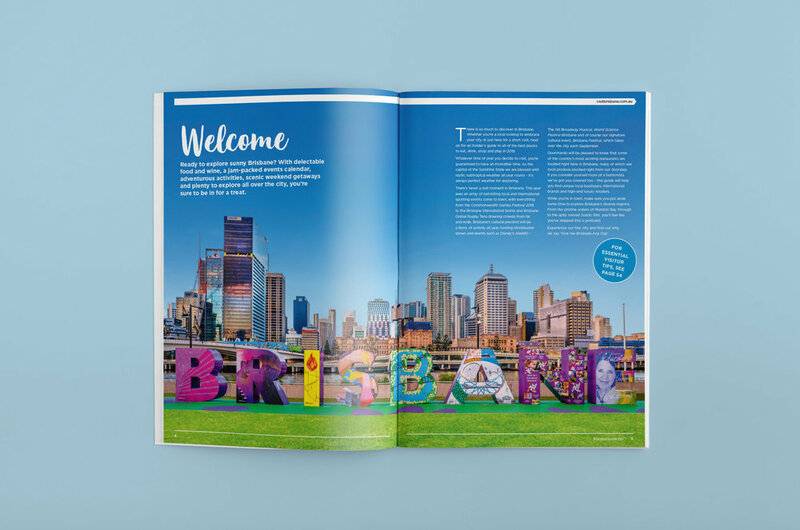 Brisbane Marketing approached our team to create a publication that visitors could refer to for tips, tricks and local knowledge, all wrapped up in a stunning package. 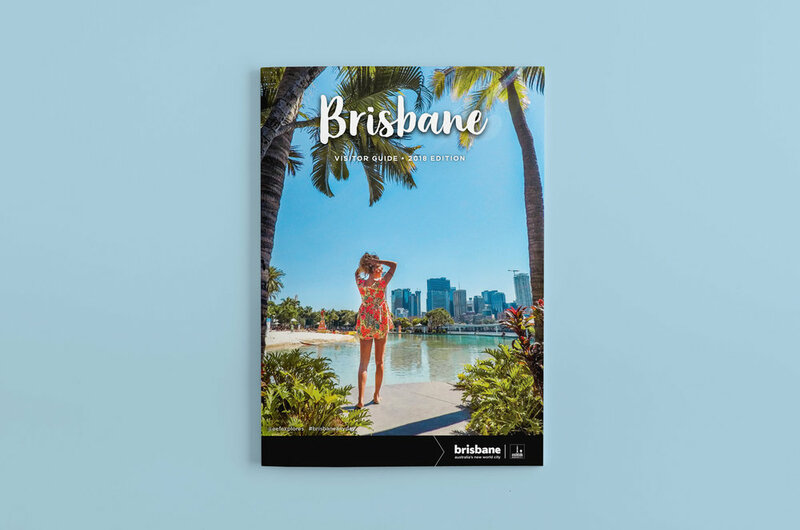 The result was the Brisbane Visitor Guide, a comprehensive hard-copy booklet distributed through the CBD to help those new to the city to discover the best bits. Our multi-talented team was across all facets of this project – along with building a brand identity we produced in-depth editorial based on rigorous research, beautiful photography to reflect the city’s offering, crisp graphic design to maximise the guide’s appeal, plus co-ordinating aspects of the guide’s production.